funny shadow. . Wallpaper and background images in the Shadow The Hedgehog club tagged: thunderjix shadow. 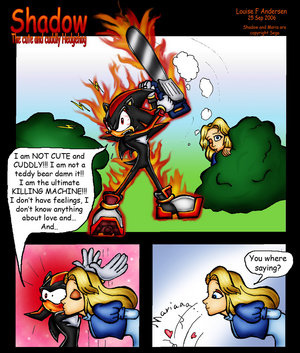 What were you saying about not having feelings Shadow?